The walleye is a docile fish that is moderately aggressive even when captured. However, this mild trait of the Walleye makes it hard to catch unless you have the best walleye rods. A good number of walleye fishing attempts end in failure because the angler used an inferior rod. The walleye rod must be strong enough to handle the weight of the walleye and sensitive enough to detect the walleye’s inconspicuous movements underwater. Having the right walleye rod may greatly improve your fishing success even if you are a beginner. A walleye rod is made up of several crucial components. The blank defines the entire rod from the handle on one end to the tip on the other end where the line with the hook is dropped into the water. The rod can be made from various materials including carbon, fiberglass, or a blend of the two. The guides are the loops attached to the blank where the line goes through. The guides are metallic or a metallic frame with ceramic loops. Close to the rod handle is the reel seat, which acts as a protective enclosure that secures the reel in position. Rod action defines the flexibility of the blank, which may be at the tip, in the middle, or close to the handle. The rod action is rated as fast, moderate, or slow. Fast means the rod bends at the tip, moderate means it bends at the middle, and slow means it bends close to the handle. Finally, the rods power refers to the sturdiness of the blank. This can be rated as heavy, medium, or light. The ratings are further subdivided as ultra-light, medium light, medium heavy, or extra heavy and so on. Rod power will largely depend on the weight of the rod itself. Rod weight should be directly proportional to reel quality. The reel you attach to the rod should handle the overall weight of the rod. The reel determines the rod’s maneuverability and loading ability. If you intend to use bait to cash fish, a light rod will be more suited. Lighter rods are easy to maneuver and are suitable for catching fish that hide in tightly spaced water areas surrounded by bushes. Medium power rods are ideal when fishing ashore, on a pier, or when sitting on a boat. 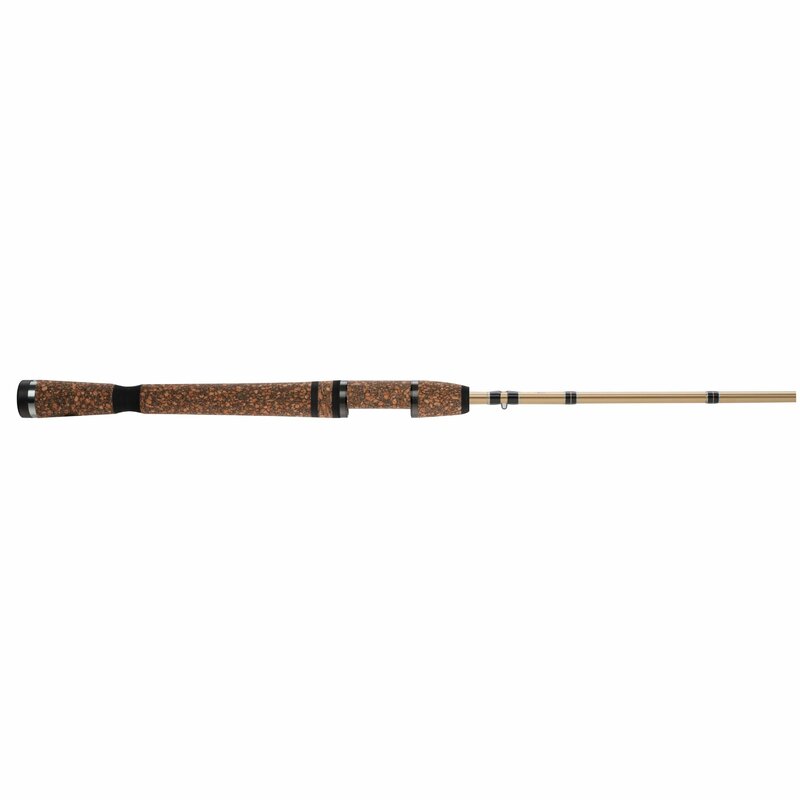 Fishing in the sea or in moving water currents will require a tough walleye rod to get the job done. A rod with heavy power also comes in handy when using a line that weights between 30 to 80 pounds and is spooled with a casting reel. Contrary to the common misconception, heavy rods are not that great when we want more loading power. Light and medium power rods have better load because they bend more easily. Casting distance is important when considering a suitable walleye rod. A blank with more load to it allows you to cast bait as far as possible. Generally, anglers prefer walleye rods that have both moderate power and action; they are likely to have a better casting distance and accuracy while fishing walleyes. Action and power being constant, longer rods cast the farthest compared to shorter rods. Shorter rods should preferably be used with light lures. However, if you want a walleye rod that handles all lures and has great distance, get one with moderate power and medium action. Spin cast rods are one of the easiest walleye rods to handle and perfect for beginners. Their guides are designed to be large at the reel and grow smaller as you advance toward the rod tip. The rods flexibility in fishing also determines how many guides it comes with. Spin cast rods comfortably handle heavier lines and handle the fighting pressure of fish better. They also have a unique grip trigger operated by the forefinger to release the lure into the water. These rods have bigger line guides to minimize abrasions on the line while casting. This feature makes the spinning rods ideal for lighter and flexible monofilaments. Grip handle of spin rods are either made from Cork or EVA form; with some anglers preferring the quality Portuguese cork handle. Modern spin rods have grips made from both Cork and EVA foam. This combines the strengths of both materials providing a sturdier grip handle. Spinning rods also use strong reels that stabilize the rod while battling with fish. Bait-cast rods are frequently used with low braided monofilaments. They can also be used with nylon or fluorocarbon lines. Modern bait casting rods have a length of up to 9 feet increasing casting distance and accuracy. Bait-cast rods have their reels mounted on top of the grip. The guides have eyelets ideally to make it easy to spool the line onto the rod. Like bait cast rods, fly rods are long and flexible. These types of walleye rods are likely to be used by professional anglers and not beginners because fly rods rely more on the line itself to cast as opposed to the lure. A characteristic feature of fly rods is that the reel is fixed under the upper part of the rod. This helps hold the reel secure while spooling the line or out fishing. The rod has a disc-like feature to provide ample adjustment to reel in oversized fish like the walleye. With a length of 6’3 inches and ample medium power, the St Croix walleye is another excellent addition to quality walleye rods on the market. It is highly sensitive to fish movements and bites. The St Croix walleye rod has graphite blank, which not only makes it light and sturdy but also boosts the rod’s sensitivity. The grip features the famous split design, which adds to the sensitivity of the rod. The power of this rod allows it to handle lure weight of between 1/8 and ½ oz. The reel seat is designed to be durable and hold the spool reel in place. You can handle line conveniently and maximize the rod’s length to cast farther into the lake where the prized walleyes are schooling. The St Croix walleye rod does not include any other fancy features compared to its competition, but it packs all the right ingredients to do the job. This rod is not only designed to be technique specific, it is aesthetically pleasing as well. This is the kind of walleye rod I would recommend for professional anglers. The blank is made from IM8 fiber, which improves the rod’s sensitivity to fish movements. The grip handle of the Okumas technique specific rod is made from EVA foam. This gives the handle a firmer grip and also makes it easy to clean when it gets oil or slime stains. The grip handle is also designed with a split to help transmit vibrations to the hand when a walleye is tagging on the bait line. 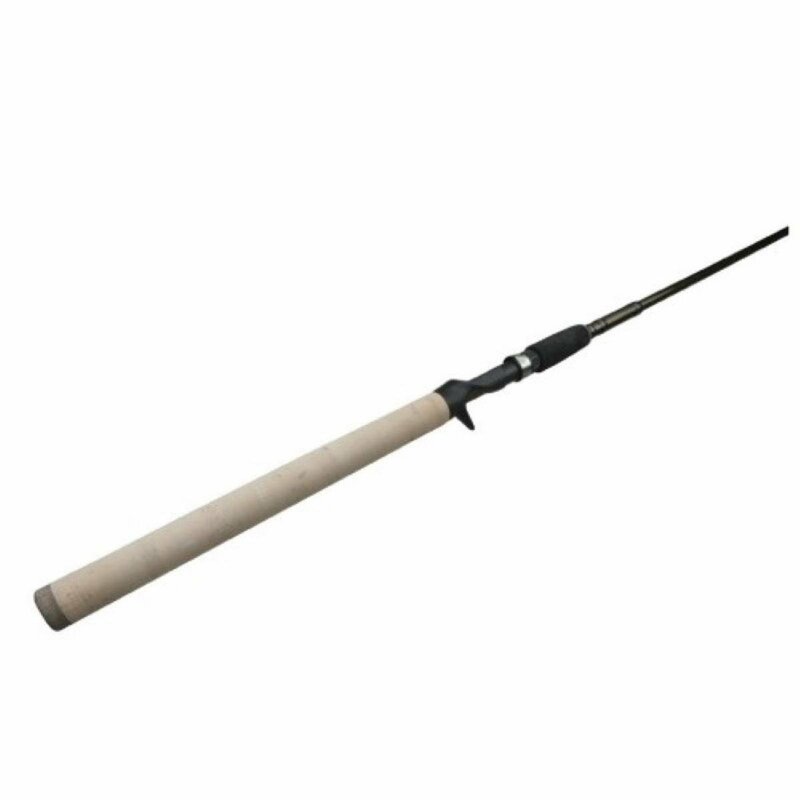 Okumas technique specific rod is a medium power rod with a length of 7 feet. I can see myself cast a great distance into the lake while comfortably sitting ashore. One other feature that impresses me is the 7 guides on the rod and an extra guide on the tip; this always ensures that my monofilament remains straight and reels in and out perfectly. The engineering of the Fenwick elite tech rod strongly suggests it had the walleye angler in mind. The rod has a medium light power, which boosts its sensitivity and speed while fishing. The sturdiness of the rod’s body eliminates worry about damage or wear and tear. Fenwick elite tech walleye rod has a blank designed from pure graphite. This not only ensures strength and durability of the rod, but it also improves the rod’s bait sensitivity. The guides are designed from light titanium to enhance durability and handle heavy lines. The grip handle is made from both EVA foam and TAC. The firmness of the grip is not lost even when the handle becomes wet. Use of EVA and TAC material also allows the grip to be easily cleaned of slime, fish oil, or any other type of dirt. 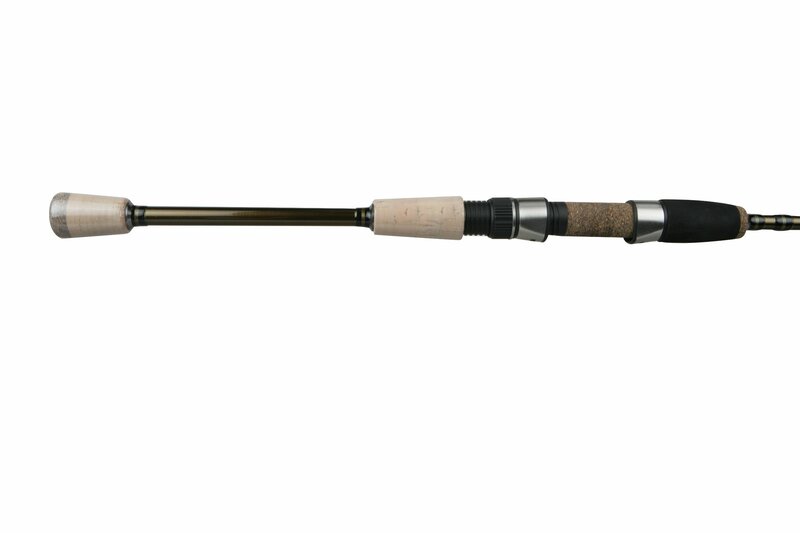 The Fenwick elite walleye rod can handle test lines of 4 pounds up to 12 pounds. As a seasoned angler, one of my greatest concerns is if I will be able to detect the slightest tag on my lure. Fortunately, the Okumas dead lite walleye rod packs the right features to enhance sensitivity and much more. The blank is made from a unique material called Durafiber. This is basically a clever blend of fiberglass enwrapped with a lighter graphite fiber to make the rod both sturdy and flexible. This is what that makes this rod super sensitive to any bite or nudges made by biting fish. The rod is made from Micro-Trac material to prevent friction between the line and guide. The guides also protect the line from abrasion or breakage from wear and tear. A high stamina blank is complemented by an equally tough reel seat and grip handle. The handle’s grip is facilitated by the EVA material it is made of, which also makes it easy to wipe off slime, fish chunks, or fish oil from the grip itself. The reel seat is custom designed to mount steadily onto the rod and provide better handling of the line. As an avid angler, there are specific requirements I always look for in my walleye rod. The best walleye rod for me has to be medium light and sensitive to fish bites and movements. Okumas technique specific rod is the best because it delivers on essential specifications such as durability, firm grip, and enhanced sensitivity.